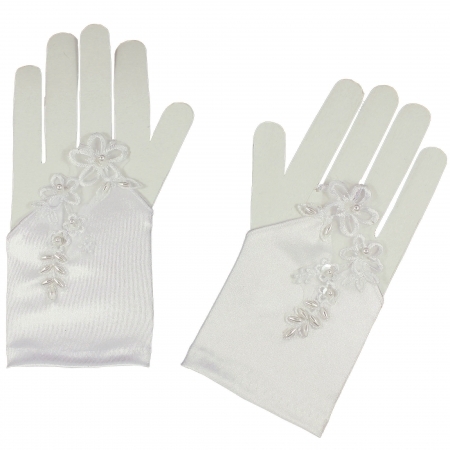 White satin fingerless First Holy Communion gloves decorated by lace and flower petals. Suitable for 7-12 years old. Wrist length. About 5.5".